Welcome back to the Weekly Wins! It’s a brand-new year, and we’ve got some brand-new stories for you to kick off 2018. With CES around the corner, lots of companies are teasing their latest innovations. Check it out below! The International Consumer Electronics Show is only a few days away! Take a look at some of the trends that will dominate the convention this year, Nissan’s new Brain-to-Vehicle technology, a VR experience that takes place behind the wheel of a moving vehicle, some fun robotic tech, and more. 1. It’s That Time of Year Again! CES (The International Consumer Electronics Show) takes place next week, and everyone has been making guesses at what will be on display at this year’s convention. Driverless cars, virtual reality, brand new devices from big companies like Samsung, and more are expected to be shown off. Mashable put together a list of the 7 tech trends that will rule CES this year, including the beginning of the 5G revolution, self-driving cars, tons of smart speakers, digital health and fitness wearables and devices, augmented reality, wireless headphones, and more. Stay up to date with all the latest CES news this weekend, and look for some highlights in next Friday’s Weekly Wins. An innovation that is scheduled to be on display at CES next week is Nissan’s brand new Brain-to-Vehicle technology. 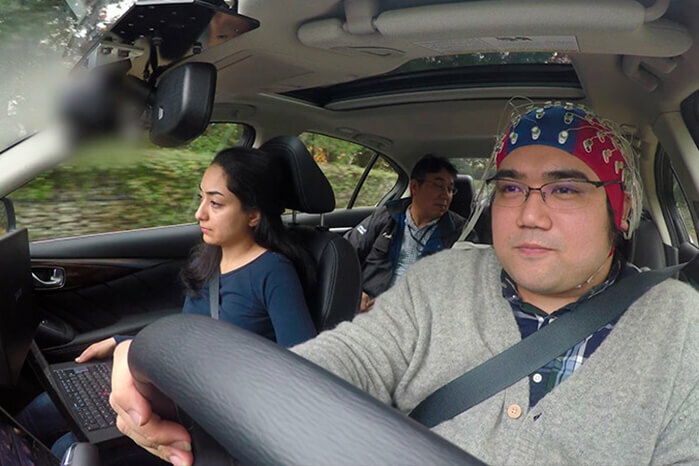 The automotive company is developing a way to help drivers execute evasive maneuvers more quickly, smoothly, and safely using brain wave technology. By using EEG (electroencephalography) and placing an electrode-dotted headset on the driver, Nissan says that this technology will be able to predict when a driver is about to brake or swerve, and then perform those actions 0.2-0.5 seconds faster. Crazy cool or crazy dangerous? 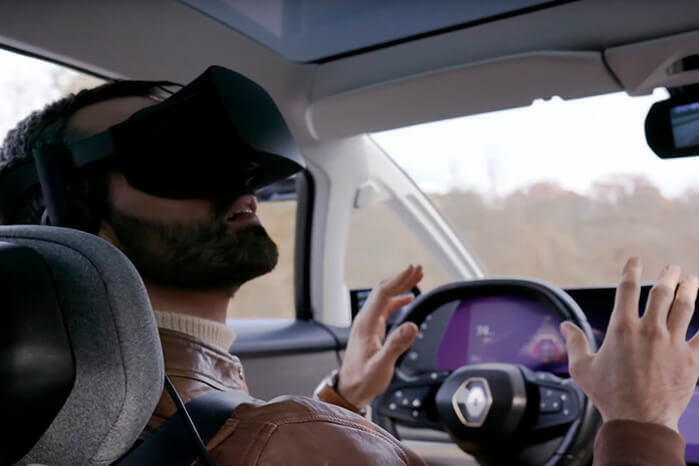 Speaking of autonomous vehicles, Ubisoft and Renault has created a VR experience that takes place behind the wheel of a self-driving car. Users wear an Oculus Rift headset while sitting in the driver’s seat and watch a digital experience that syncs up with the car’s speed and direction, turning a regular ol’ high way into a sci-fi-esque landscape. Sitting in a self-driving car is one thing, but putting on a headset that completely blocks – and alters – your vision of the road? Yikes. A club in Prague named Karlovy Lazne has introduced a new DJ that mixes beats without eyes or hands; because it’s a robot. 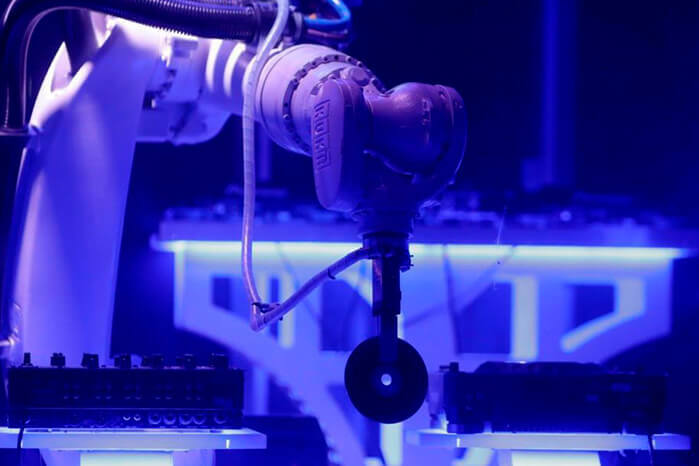 An adaptation of a KUKA arm, this DJing robot is rigged with software to help it choose songs, grab CDs, perform dance moves, and more. While that robot is jamming out, there’s another one following you wherever you go. No, we’re not talking about an episode of Black Mirror. The Chinese company 90Fun has released a smart suitcase called the 90 Fun Puppy 1 that automatically follows you around hands-free. In collaboration with Segway, they’ve also added in a “gravity adaptive system” to help it balance itself and stay upright. Keep an eye out for this gadget at CES next week. We all know that smart speakers are on the rise. While Burger King’s “O.K. Google” Whopper Google Home hack was a fun gimmick, advertisements will soon be coming to digital assistants themselves. It is rumoured that ads may soon be served through Alexa on the Echo. This means paying to have Alexa mention your brand above others, like suggesting Colgate when a shopper asks to buy toothpaste. Invasive? A little. Surprising? Not at all.